Sitting at the bottom of the pile in the AFC South with a lousy 3-8 record, the Jacksonville Jaguars have taken to drastic measures. 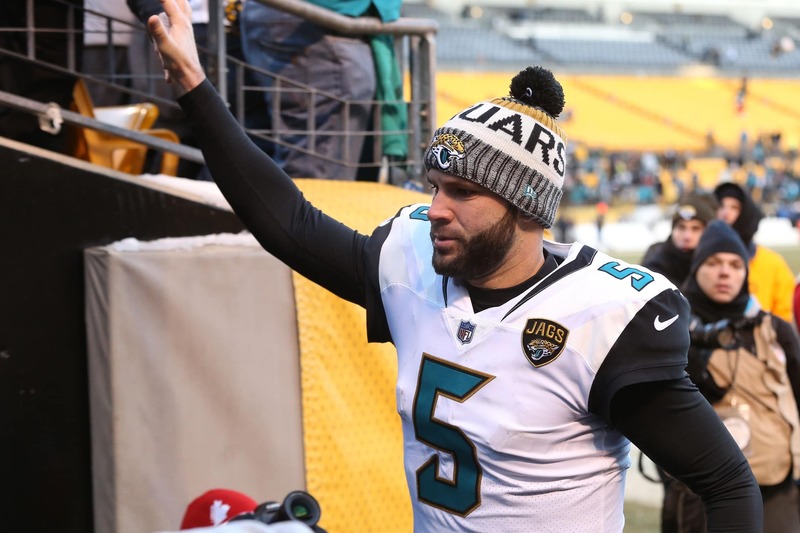 After firing their offensive coordinator, the Jags did an about face and announced that Cody Kessler will start in place of Blake Bortles for at least Week 13. This announcement of course, has Twitter fired up with plenty of commentary on this Jags’ decision. Here are some of the highlights. It amazes me how one game erases a lifetime of work…jags saw afc championship Blake Bortles and his past was erased. Legit question. Will Blake Bortles be in the NFL in 2020? I don’t think he will. Blake Bortles has basically the same stats he had through 11 games last season. One more TD pass, two more INTs. Passer rating slightly higher. QBR slightly lower. Team OFF efficiency about the same. D way worse, ST also down. Blake Bortles has played his best games as a pro against the Colts. He's 61.9% for 2,238 yards, 16 total TDs, and just 3 INTs against Indy. Bortles simply turns into another player when he faces them. Why is Jacksonville benching him now? The Jaguars play Indy on Sunday. @BortlesFacts are you changing you name to kesslerfacts?